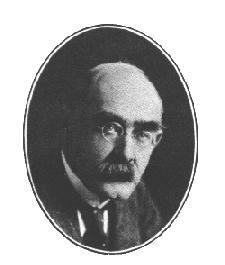 ﻿ Poetry Lovers' Page - Rudyard Kipling: "Very Many People"
You are here: Home » British/American Poets » Rudyard Kipling » "Very Many People"
"They flay the turf from the sheep-walk. "They load the Denes with noise. "They burn coal in the woodland. "They seize the oast and the mill. "They camp beside Our dew-ponds. "They mar the clean-flanked hill. "And Our muttering Downs tell nought. "They comfort themselves with neighbours. "When We Old Gods are gone." And the Old Gods had gone!